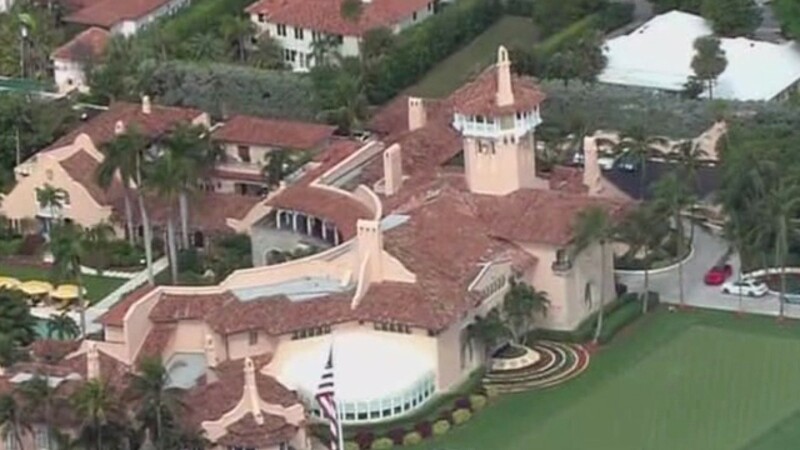 A woman carrying two Republic of China passports, four cellphones, a laptop, a hard drive and a thumb drive with malware on it made her way past an initial security checkpoint at Mar-a-Lago when President Trump was in town on March 30, according to a criminal complaint filed in U.S. District Court. The woman, identified as Yujing Zhang, said she was there to "go to the pool," when first approached by a Secret Service agent, an affidavit said. A woman carrying two Republic of China passports, four cellphones, a laptop, a hard drive and a thumb drive with malware on it made her way past an initial security checkpoint at Mar-a-Lago when President Trump was in town on March 30, according to a criminal complaint filed in U.S. District Court. The woman, identified as Yujing Zhang, said she was there to "go to the pool," when first approached by a Secret Service agent, an affidavit said. Mar-a-Lago security could not find her on the access list so security contacted the manager of the Beach Club who said Zhang is the last name of a member of the private club, the report said. Because of a perceived language barrier, it was believed she was a relative of a club member and allowed on the property, an investigator said. A valet driving a golf cart picked up Zhang and asked her where she wanted to go but she didn't know, the affidavit stated. She ended up in a main reception area where she told a curious receptionist that she was there to attend a United Nations Chinese American Association that evening, a Secret Service agent said. The receptionist knew that event didn't exist and determined Zhang was not on an access list, according to the affidavit. Escorted off the property and questioned by an agent, Zhang claimed her Chinese friend 'Charles' told her to travel from Shanghai, China to Palm Beach and to speak with a member of President Trump's family about Chinese and American foreign economic relations, an agent wrote in the affidavit. The agent noted that Zhang was able to speak and read English with ease. Based on her responses the Secret Service determined there was probable cause to charge Zhang with making false statements toward federal law enforcement agents and unlawfully entering a restricted building or grounds. The first charge carries a maximum penalty of five years in prison and a $250,000 fine. The second charge carries a maximum penalty of one year in prison and a $100,000 fine. hearing is set for April 8. Read the full criminal complaint below.